Five years ago, I got to college and realized I no longer liked academics all that much. Which was, when I realized it, slightly alarming. I was supposed to be a good student, an honor student, an academic. I was smart, I was supposed to be smart—but in college, what is “smart” measured by if not in grades? I also found that, frankly, I didn’t even care all that much. Except that was also a little bit alarming. At first, plenty of it was simple burnout. Like plenty of others, I overloaded my senior year with heaps of hard classes and extracurriculars, so by my first college semester I was still exhausted of schoolwork and much more interested by all the new social opportunities. This isn’t an unusual story; except that as more semesters went by, it didn’t really change. I was an academic, and I really did like it well enough. It embarrassed me too, to be perfectly honest, because I’ve never been a competitive person and hated the “smart kid” teasing. But it was a comfortable part of my identity, and definitely part of my identity to those around me. But eventually, we all must leave high school (and thank goodness for that). Despite all that, despite all seeming predisposition to being a Student with that capital S, I never really found my college academic “groove.” It eluded me, and when the honors students stood up in chapel at Moody once a year, I felt slightly displaced in my seat. But slightly; slightly is still something, and slightly displaced in your identity is still unnerving. Or how about when you realize how much you didn’t learn in college? But, of course, there’s a way to fix it. A next step. A new identity to find! Right? Except, no, I don’t know that there is, exactly. Or if there is, I don’t know how to find it. Being out of school now brings a whole new slew of factors into this mix: I have more time to read, and I have been, but I also have to more intentionally choose that which will actually benefit my mind. And I have more time to read blogs and articles—but have to be careful to avoid only ever reading one bias. And I could theoretically take classes, but where do I find them? Now that I’ve been out of school for over a year, I want to start finding my own way. I don’t need to be an academic; I don’t need to go to graduate school (though I won’t rule it out for the long run). But I do need to find out what will make me feel “smart” again—or actually make me smart again. I’ll likely be talking about this again in the future, especially as I consider the direction of online classes, but I’m taking suggestions in the meantime. What do you do to educate yourself when you’re out of school? 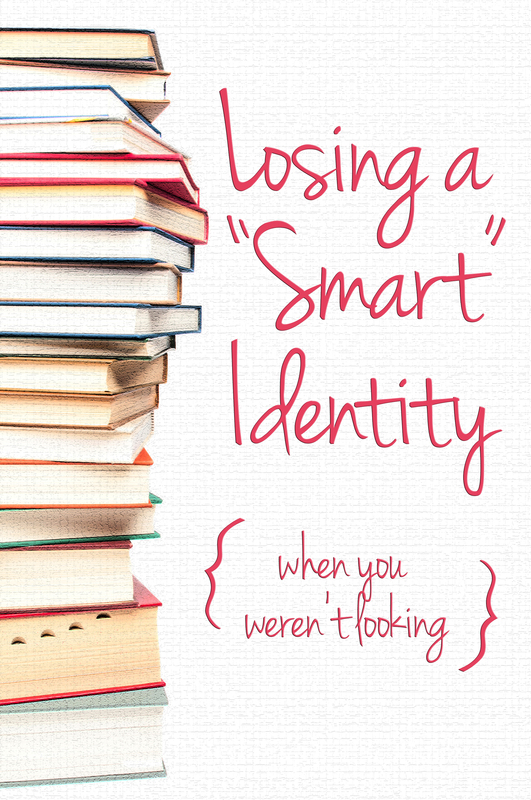 Did leaving school—or being in it—change your intellectual identity in some way?